Each of us wants to live in a cozy and spacious house. An important role is played by comfort and reliability. How to achieve convenience and space in an apartment where a person spends a significant amount of his free time? Today, modernity prefers minimalism in the interior: more space, convenience, order and style. After all, I want everything to be in place (from bed linen to clothes and small accessories). And what, if not a chest of drawers, will make it possible to realize what was conceived in reality. And practical, and takes up little space. After all, in the translation from the French chest of drawers - this is "convenience". Initially this role chests, but from the XVII century in Italy, then in France in the interiors of the rich and luxurious bedrooms offices appeared commode on legs. He proved indispensable and highly functional piece of furniture. Popularity chest grew, design becomes easier. It took a long time, so that it appears in almost every home. 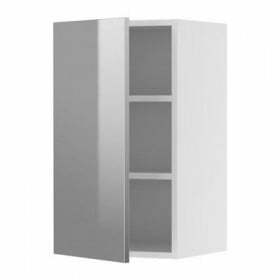 In our time, it is important when choosing a mini-cabinet to determine the manufacturer, design and pricing. Find dresser that will satisfy you is a rather difficult task, but doable. 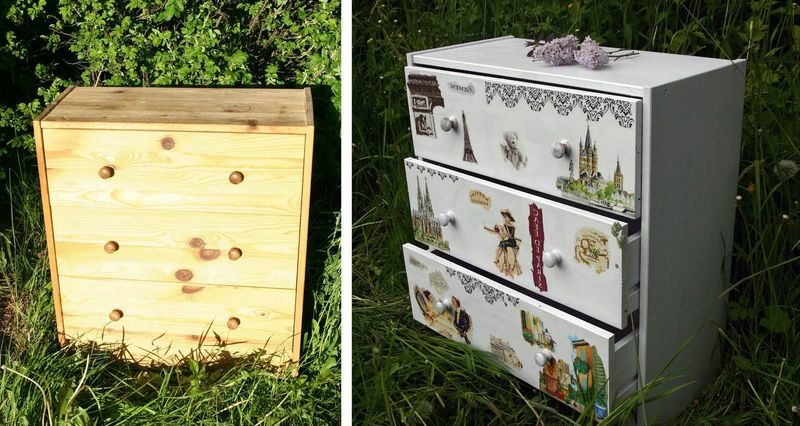 IKEA dressers may be just what you need. The number of boxes from two to eight. Of durable natural materials and particle board (MDF). Choice chest means. Price chest depends on the materials used and design. Let us consider our options for vending chests and their functions. Today is especially popular wardrobe. There can be stored outdoor clothing, shoes and other items. But for lovers of space, you can choose a chest of drawers with 4-6 drawers and shelves, plus a compact dressing room. 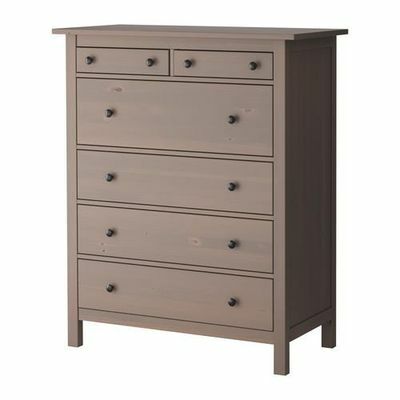 For Example, chest of drawers HEMNES 6 with drawers, Gray-brown. Roomy, with deep drawers. Saves space. Of course, the number of boxes and the color of your choice. It creates order, comfortable conditions: everything is at hand. You can choose a chest of drawers with 4 boxes. It is convenient to keep change in the upper section (these can be toilet accessories, medicines, decorations, etc.). Now even the smallest knickknack will have its place. The purpose of the other boxes: underwear, pajamas, clothes. This will facilitate the search. Because of this, it can be argued that as a piece of furniture, a chest of drawers will never become obsolete. A dresser with a mirror can be an excellent option for the ladies' table. Numerous boxes will become a worthy storage place for all kinds of cosmetics, hairpins and jewelry. Also in the bedroom is great to have a chest of drawers with deep drawers for bed linen. When you wake up in the morning, you can easily put blankets and pillows in there. 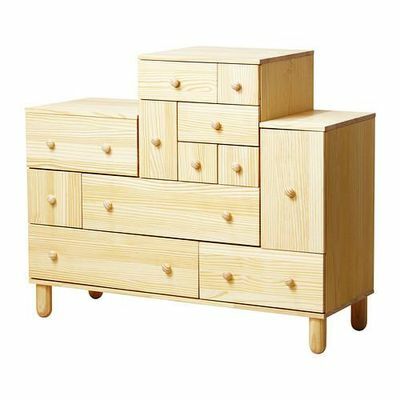 Example, chest of drawers MALM: 6 boxes (4 large, the top is divided into two), birch veneer. 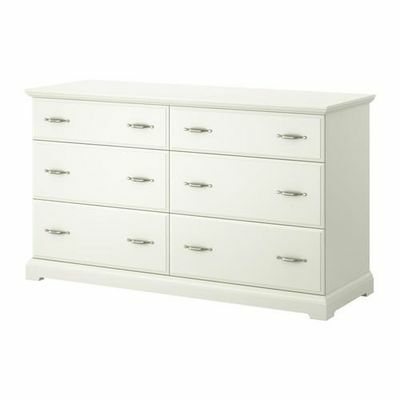 Or chest of drawers Birkeland 6 with drawers, white. Small child - pleasant chores. It is especially important to teach your baby to order him to understand that everything should be folded neatly and in place. This is especially true of toys. 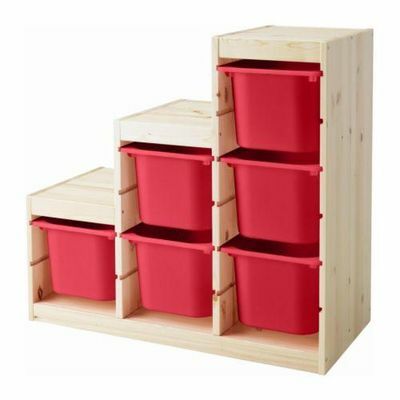 TROFAST: storage combination plus container (pine, red). This provides an alternative chest. You might consider chest MOTAPM for toys. 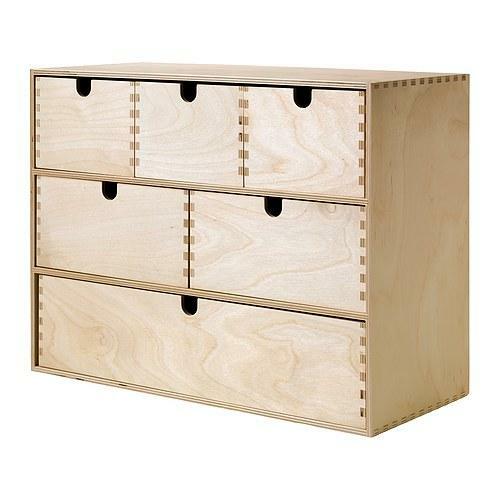 Mini chest of drawers, 6 boxes, birch plywood. He's from untreated wood, so this commode can be covered simply varnish, and can include fantasy and add bright colors (even with the child)! If you have more than one child, there is a great idea to stick on the containers or boxes photos of your kids so they know where to put your things and toys. This is an excellent version of the game plus education! But also appropriate to the bright little chest of drawers for linen. 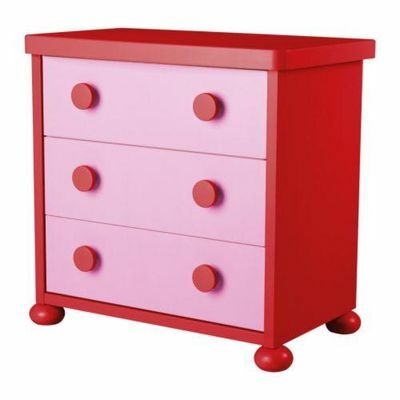 Chest of drawers MAMMUT 3 with drawers, pink, red. This series is specially designed for children's rooms. 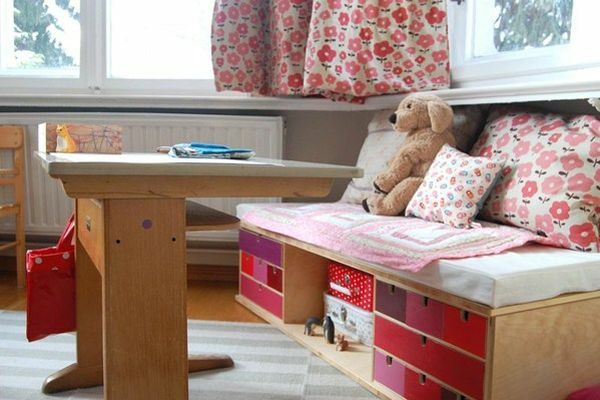 In addition it contains drawers and other furniture for children, allowing completely furnish the nursery. 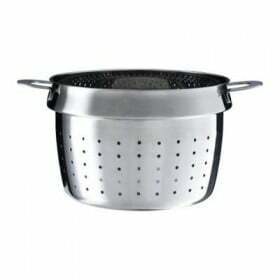 IKEA draws its capabilities. Here furniture gives a great opportunity for creativity, alterations! 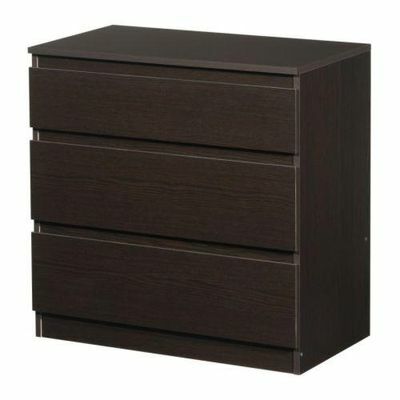 For example, wood chest of drawers RAST with three drawers, a budget option. Too, like MOTAPMs perfect for the nursery. Upgrade these chests as you like, for any interior: from the entrance hall to the nursery. And here is a short video about the RAST dresser. Also draw your attention to the variety of stylish commodes Budget. 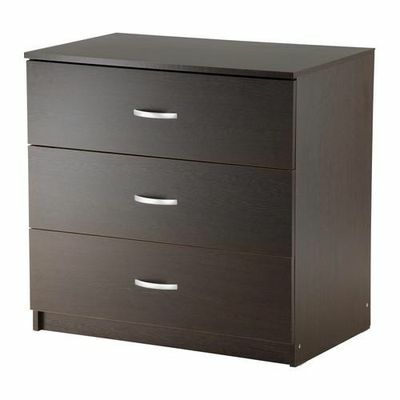 As mentioned above - is chest of drawers RAST , Kullu: chest of drawers 3, black-brown, chest of drawers Vinje 3 with drawers, black-brown. 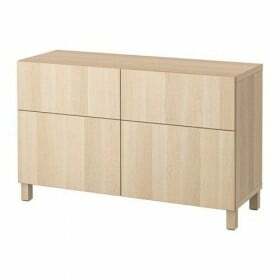 As with almost all the furniture IKEA these dressers are going by yourself, in what is, in principle, there is nothing difficult, as each kit is detailed assembly instructions and all parts fit perfectly. Another interesting point. 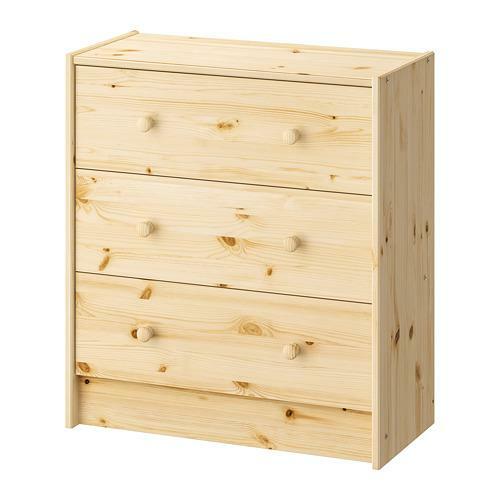 Chests of drawers IKEA PS 2012 years. About the designer series IKEA PS 2012 we already told. These chests contain additional modules from a natural material (environmentally friendly), reliable, besides their original form will not leave you indifferent. Attractive solution for your interior. In this brief review, we considered the brightest model of drawers from IKEA. Choosing a dresser, consider for what purpose you need one, what size, material and workmanship too is important. 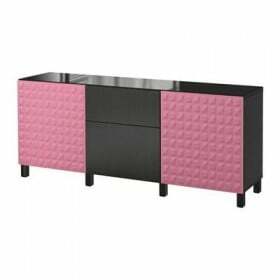 At IKEA stores you can choose as classic examples of drawers, and not the usual options such as dressers series IKEA PS. 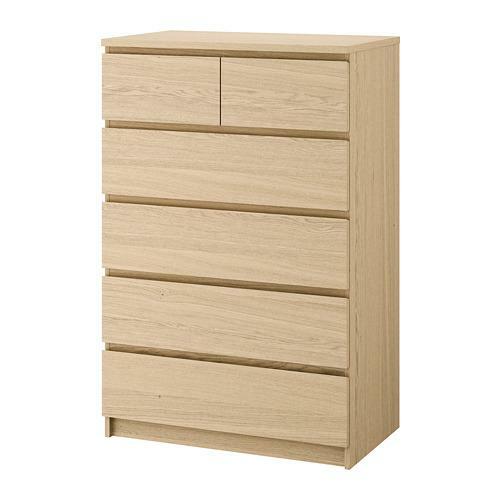 With all the variety of drawers IKEA and reviews on them you can find in our catalog IKEA.